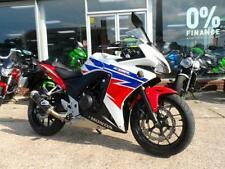 Honda CBR300R - 2016 / '16 Reg - Lovely Original Condition......! 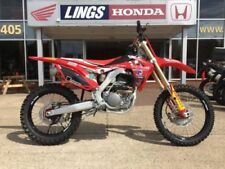 Great condition, low mileage, FSH, recently serviced. 12 months MOT. Great first bike. Motorcycling needs new blood to ensure survival. Honda’s take on this is to attract people into motorcycling with a cheap, honest and stylish workhorse – and the CBR250R is it. Everything that’s needed to make a modern motorcycle is attached ie catalyser, steering lock, digital dash etc. 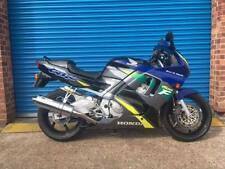 HONDA CBR250 EXCELLENT CONDITION HAVING COVERED JUST 3500 MILES FROM NEW, MATURE OWNER FUN LITTLE BIKE FOR ONLY £2195. 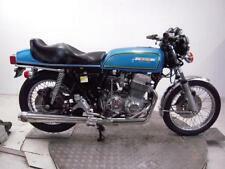 Earlier NS250 f MC11 from japan finished in red & black, in great original condition for its age, UK registered,. 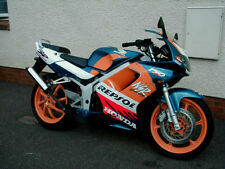 Honda CBR300 Limited edition TT legends. The engine turns over so it's not seized but it does not run (haven't tried but take my word for it!). It needs a complete nut and bolt strip down and a rebuild, this is not a project for a beginner. 2015 65 Honda CBR 300R white 2 owners 3969 miles excellent ..